Math manipulatives are awesome! 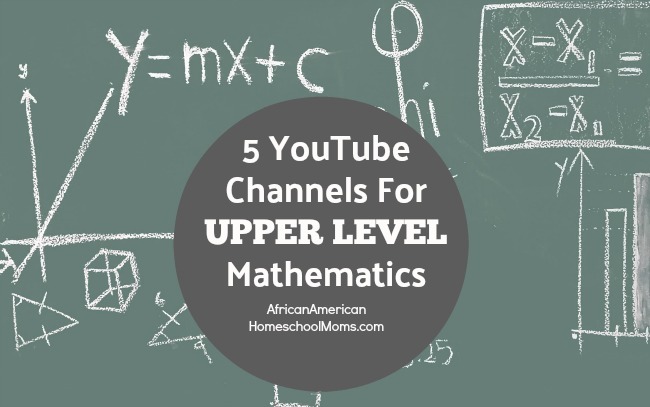 I love them because they allow me to present mathematical concepts in a concrete manner my girls easily understand. My girls love them because they’re fun to play with and make learning mathematical concepts more enjoyable. If you’re into math manipulatives like me or you want learn more about them, please continue reading. I’m sharing a list of our must have manipulatives, describing where to purchase them, noting printable math manipulative resources, and offering ideas on how to store them. These are the Thorpe family’s “must have” math manipulatives. Over the years, I’ve found math manipulatives in a variety of places. Here are a few of the places I check when looking for additional math manipulatives. Curriculum publishing company: You’ll find exactly what you’re looking for when purchasing math manipulatives directly from the curriculum provider you’ve chosen. If you’re considering costs, you may want to search elsewhere as this tends to be the most expensive option. Local homeschool curriculum sales: Each spring, many of the local homeschool groups in our area host used curriculum sales. I’ve hit the homeschool jackpot several times while shopping the local sales. Yard sales: Keep an eye out for math manipulatives at yard sales. If you’d like to learn about a homeschool mom can make the most of a yard sale, check out this post: The Homeschool Mom’s Guide to Yard Sales. Library: Our local library holds used book sales three or four times each year. They’ve included a new educational section that offers manipulatives in addition to books. Ebay: I always find manipulatives here. Prices are usually reasonable, especially if you buy used manipulatives. Just check out the shipping costs to make sure you’re getting a fair price. Amazon: You already know Amazon rocks! I often purchase manipulatives from Learning Resource Center and Child Craft. Depending upon the vendor, Amazon Prime members may not have to pay for shipping. Facebook: There are dozens and dozens of homeschool sale/swap groups on Facebook. Great items are posted daily. Go the extra mile and see if you can find a local sale/swap group. Meet up in a safe public location and pay cash. No shipping fees! Homemade: This is a fun and inexpensive option and one children may be able to do alongside you. This post, 15 Homemade Math Manipulatives, has great ideas for making homeschool math manipulatives. Centre for Innovation in Mathematics: This is an awesome general math site, but check out the math printables under the title For All Years 1 to 6. This includes printable number lines, number cards, shape cards, and math sign cards. These are great to use in games or in math journals. Donna Young’s Math Section: Donna Young’s website is one every homeschool mom should visit often. You could spend hours checking out all of her resources, but this math page will provide useful printables for math lessons. Mathematics Blackline Masters: Make sure your printer’s ink cartridge is fully loaded because you’re going to want to print many of the awesome math printables here! I Am Homeschooling: Before you purchase manipulatives, you’ll want to check out this awesome list of printable manipulatives. Laminate them, so they’ll last for years to come. If I’m not careful, manipulatives will take over my house! However, just by using simple and inexpensive items, I can keep our homeschool math manipulatives neatly stored and well organized. Consider these simple storage solutions. Place manipulatives inside plastic organizers of various colors and sizes. Dollar Tree often has a great selection of plastic organizers. Seal manipulatives inside sandwich, quart, and gallon size zipper lock storage bags. Keep flashcards and small items like bills and coins inside of zippered pencil pouches. Store bags of manipulatives inside of sturdy shoeboxes. Shoeboxes can be stacked on top of one another for easy storage. Storage bags of manipulatives inside of canvas storage bins. I usually purchase mine at Walmart or Big Lots. Designate a desk drawer as place for storing bags of manipulatives. 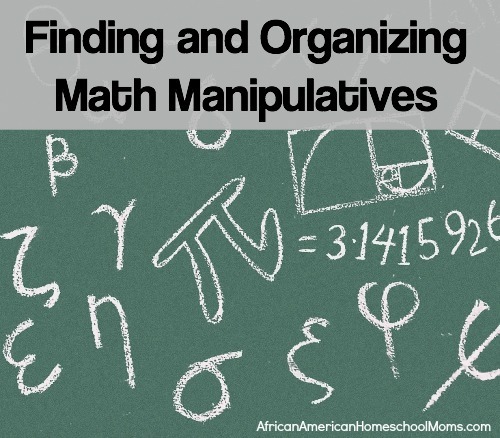 Math manipulatives are a helpful resource for the homeschooling mom. Gather them now and organize them neatly, so they’re easily accessible all school year long.